1. Look online for an outline that you like, any Easter animal will do. I went for the classic bunny, but a duckling or a pig would be just as gratifying. Make sure to pick an image that is clear and has a single-line shape. 2. 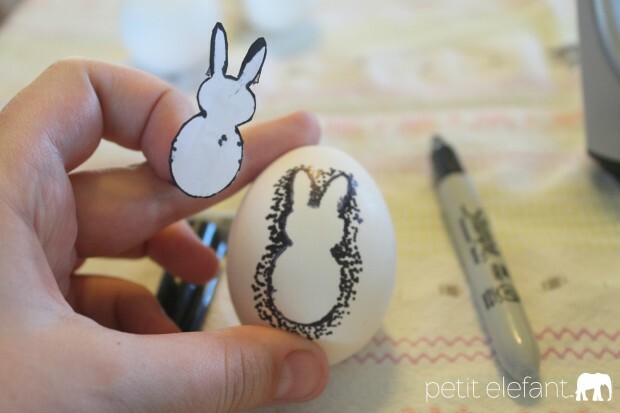 Print out the image, make sure it is small enough for an egg (unless you’re working with an Ostrich egg – then go ahead and print the outline out on a whole page). 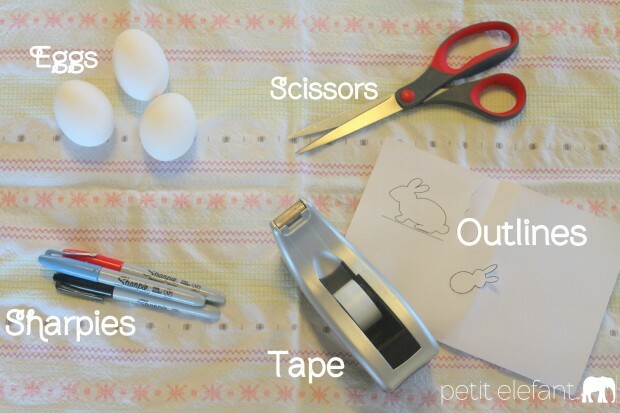 3.Cut out the outline and put double-sided tape on it; now cut away the excess tape so that it matches your animal outline. 4. 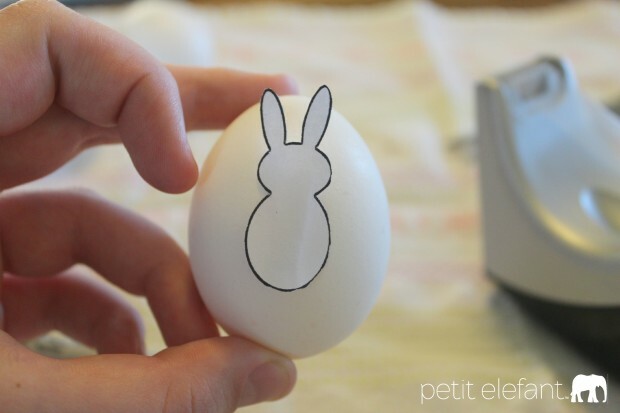 Stick it on your hard-boiled egg, centered. 5. Begin “stippling” around the edges with your sharpie – I went with black but I think next time I will use silver or gold. 6. When you are satisfied with your dots, go ahead and take the tape off. 8. 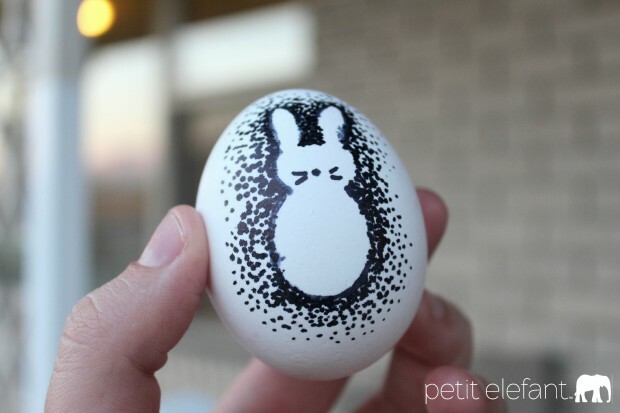 Hide the egg, and have a happy Easter. 20 years old, and deeply happy to be alive. I am an aspiring writer, maybe-lawyer, and human being. I am an English major at Brigham Young University. I write a heavy bit of poetry, and eat a heavy bit of Indian food. I lived in Germany for a bit, but currently call Utah my home. I want to travel as much as time and cash will permit, in this short and spectacular life - and look good while doing it.